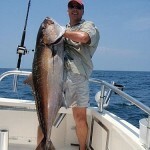 We believe no fishing trip in Orange Beach would be complete unless you got to see some amazing marine animals. 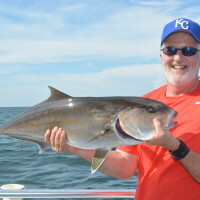 Instead of trying to focus on solely getting you to the fishing spot full steam ahead, while we are cruising offshore, we are focused on spotting animals and fish that we think you might like to see. 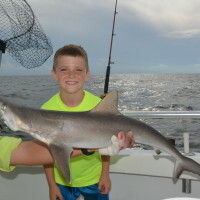 Whether it is your first time or hundredth time deep sea fishing, when we see animals and fish that are rare, unique or doing something spectacular, we are going to point it out quickly, so your entire family can experience it first hand. 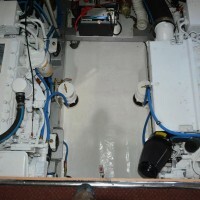 If we think we can get you a better view, we will stop the charter boat or change course so you can witness them first hand. In the Gulf of Mexico, things happen quickly. If you’re not paying attention to your surroundings, you can possibly miss out on something spectacular. So be sure to always have your camera ready and be alert so you can get that amazing photo or memory. If you get real lucky, you might get to see something like you never imagined before. 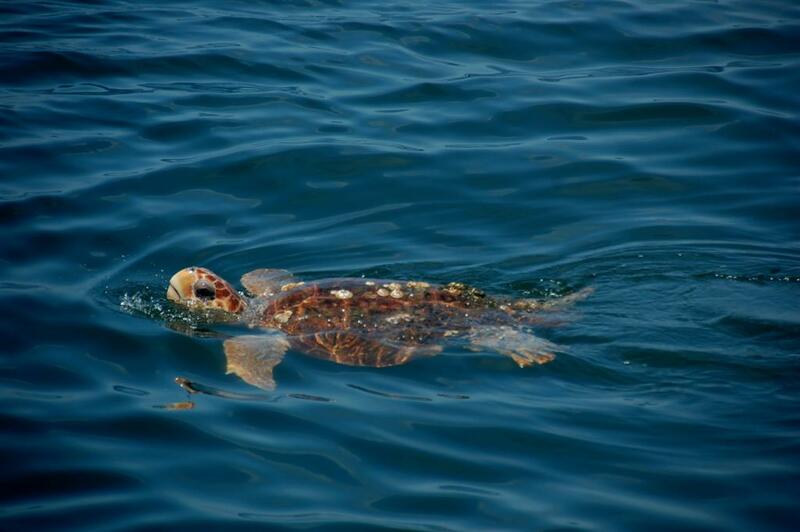 Seeing big Sea Turtles while deep sea fishing is very common. We commonly see some pretty amazing marine animals, reptiles, unusual fish, jellies and birds. I guess we see Bottlenose Dolphins and sea birds more than any other animals. This is because the birds fly and the dolphins have to surface to breathe. These two species are the most active and offer a better opportunity for everyone to see. 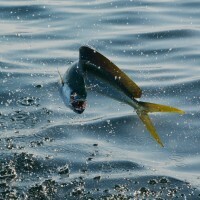 During the spring and summer, we often see sea turtles sunning, jellies floating, flying fish, ballyhoo walking on water, Bonito fish churning feeding on the surface, King Mackerel jumping, Sharks Sunning, Giant Sunfish rolling, Huge Rays gliding, Mahi Mahi splashing, White Marlin or Sailfish on the surface, Blackfin Tuna footballing and anything else that may captivate your imagination. 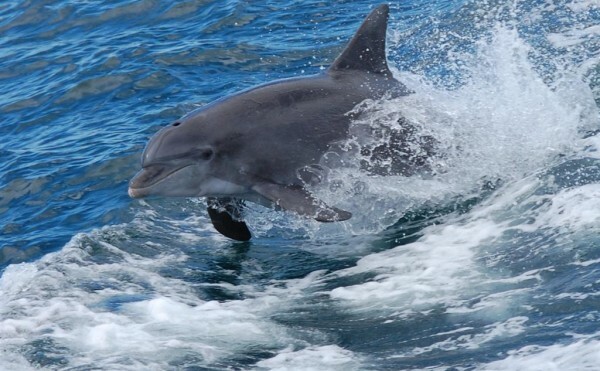 Almost every trip, wild dolphins come up beside the boat and smile at you. The important thing to remember is not to feed the dolphins or reinforce their behavior of scavenging or waiting for a hand out. 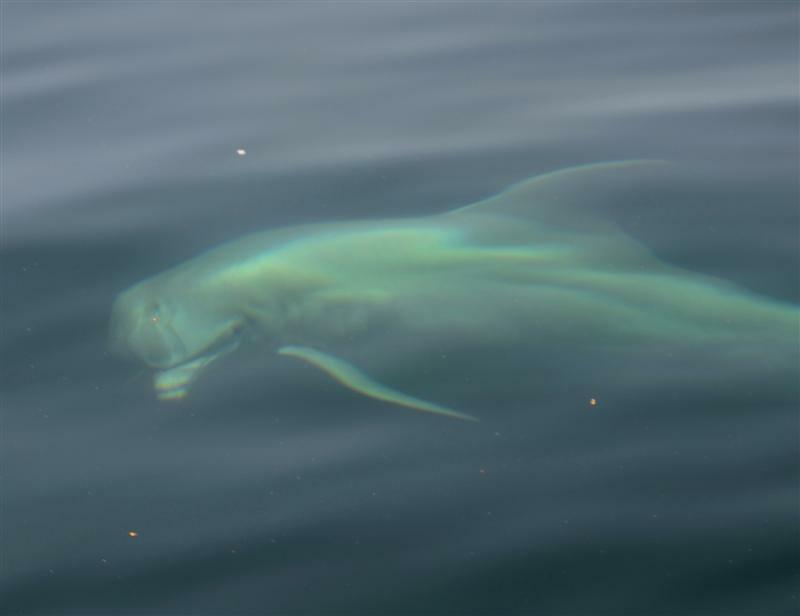 We anglers have a responsibility to protect these amazing marine mammals and enjoy their beauty. To us, we believe the gulf is a classroom and a place where we all can learn something new. Our fishing trips are all about making sure you get an opportunity to see something out of the ordinary. I for one don’t take anything for granted. If I see it, I will show you. Wouldn’t you want your fishing guide to make an effort and show you the obscure, amazing and incredible animals and fish? 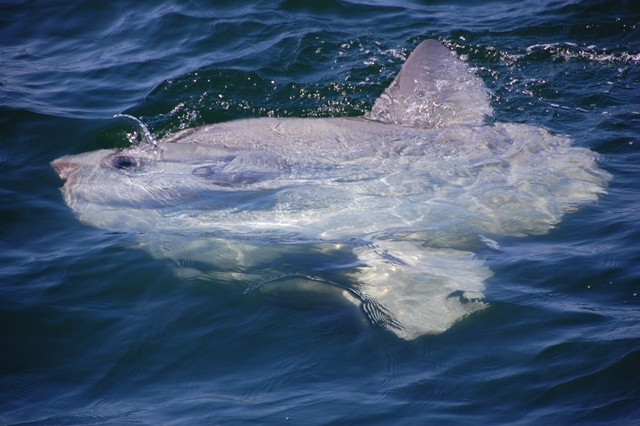 Ever seen a 1000 pound fish called a Sunfish or Mola Mola? They eat jelly fish and have no tail.